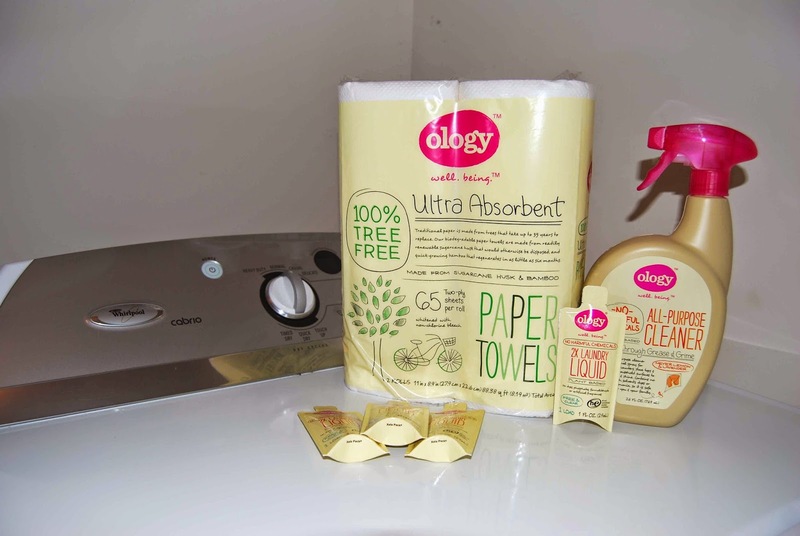 As a part of the Moms MeetsSM blogger program, I was recently selected to review Ology products by Walgreens. This line of household cleaners, personal care and baby products are designed to be free of harmful chemcials and safer for the environment. rooted in making positive choices, Ology works hard to avoid toxic chemicals, actively seeking sustainable raw materials and natural ingredients to use in their production process. Each of their products is designed to make it easy to have a happier, healthier home and world—for both current and future generations. Ology products are available exclusively at Walgreens. • Ology 2x Laundry Liquid Detergent is gentle on clothes and your skin, while still fighting tough stains. It works in both HE and regular machines and is formulated to thoroughly clean all types of loads (regular, delicates, and woolens). • Ology 2x Laundry Liquid Detergent is available in a free and clear scent as well as a spring lavender vanilla scent, both of which are derived using only natural ingredients—nothing artificial. 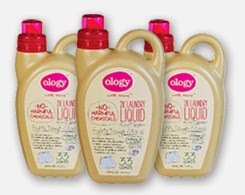 • Ology detergent contains no dyes, artificial fragrances or phosphates. • You won’t find these harmful chemicals in Ology products: ammonia, chlorine bleach, DEA (diethanolamine), TEA (triethanolamine), parabens, phthalates, formaldehyde, nonylphenol ethoxylates, triclosan, and SLS/SLES. • Ology products are made using plant-based and mineral-based raw materials. • Every Ology bottle is made from 100% post-consumer materials. • Their products are never tested on animals and do not contain any animal byproducts. • The Ology brand is endorsed by Healthy Child Healthy World, a national leading independent nonprofit organization, dedicated to the protection of children from harmful chemicals. • The retail price for Ology liquid detergent is $6.79." The thing that makes me most excited to review Ology products by Walgreens is the fact that they contain NO parabens! I am personally really allergic to parabens and struggle to find quality products that do not contain parabens and benzoates! Parabens are, "....any of a group of compounds used as preservatives in pharmaceutical and cosmetic products and in the food industry...." (ie, benzoates). Parabens and benzoates can cause a whole host of allergic reactions (internal and external), but for me, it's mostly skin irritations. I was provided with a sample of Ology Stain Fighting 2x Laundry Liquid Free and Clear detergent to try out. I used it in my typical laundry routine. Because of my allergies to fragrances, it is imperative to use free and clear detergents. At the same time, I was slightly concerned at changing my laundry detergent, because I've fought long and hard to finally find a detergent that cause my skin to flare up (I currently use All Free and Clear). I'm happy to report that laundry is as mundane as ever (a good thing, in this case!) and no allergic reactions to note! Create a Healthy Home sweepstakes on page 2 or visit greenmomsmeet.com/ologypledge.